Snow. Like it or not, it’s a reality around here. It’s impact on homes and businesses can be an annoyance to say the least, and a source of lost time and money at worst. 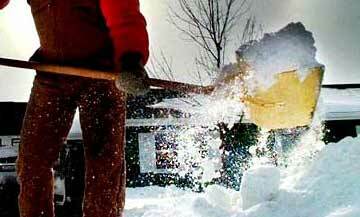 We offer a variety of services to help rid your property of snow and ice including plowing, blowing, salting, sanding and snow hauling. We’ve all been there; waking up for work early in the morning, looking out the window only to see that mother nature left you the gift of snow. This winter rest easy while we do the snow removal! Lets face it, snow can have a detrimental impact on your business. If the roads are clear but your lot and sidewalks aren’t, your business will effectively lose money. 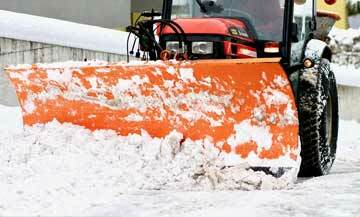 Fargo Snow is on call 24 hours a day 7 days a week. OUR ROUTES FILL UP EARLY! CONTACT US NOW. I cannot tell you how nice it was to have a service like this done exactly like I expected. Steve delivered big time. It was nice to deal with someone who was confident in what they do and in the advice they give. Thank you for being so reliable, you guys are just great! Great! I just wanted to let you know that my parents were very happy with the nice job you did. I appreciate it! Thanks much! I thank you for your service – I am amazed that you get it clean right down to the cement. I would give this business a 5 star rating. Steve was very thorough, his fee was very acceptable, and he was a pleasant, respectful person to work with! We will not hesitate to call him again. Thanks Steve Snow removal got completed before I left for work today ! Appreciate it ! I just came home and was removing snow when your pick up arrived and cleared it for me! He got out and asked if things were alright and I said yes that I wasn’t expecting them tonight but I wanted to get a head start on it before morning because my daughter had to take the car to college in the morning. He was so nice and such a gentlemen! Again, I wasn’t expecting him to show up tonight but was so happy he did and I got to thank him when he got out to talk to me. Very nice man! Thank you so much! Steve, We really appreciate the great job you and your team does of clearing the snow from our lots and sidewalks. We notice every time you are here to clean that you take pride in your work and do a thorough job. Keep Up the excellent work! We are new customers of Fargo Snow. What a joy to open the garage door this morning to see we have been the recipients of your service over night. Thanks for who you are and what you do. God Bless! Thank you so much for your time and help in getting us set up with Fargo Snow! You were always extremely informative, helpful, and patient, which is greatly appreciated!